When recent publicity lauded a positive link between coconut oil and dementia it sounded like a science fiction story. If coconut's properties are so great, one could wonder, why has there been no mention of it until now. There are probably many different answers to that question, but the question as to why it helps with dementia is an altogether different and interesting answer. For example, we all know how devastating the disease of Alzheimer's can take a perfectly normal human being and silently over a period years totally turn that person's brain into nothing more than millions of non-functioning cells. Dementia is simply the result of what a disease such as Alzheimer's does to a person, and prevailing thought is coming to the conclusion that dementia can be the result of improper diet and that it might be a completely preventable problem. Glucose is one of the most essential sources of fuel that our brain needs in order to function properly. Once glucose enters the body, it is converted into energy. There is actually a process in the brain that causes it to produce its own insulin which converts the glucose into energy from the blood supply that goes to the brain. If for some reason, there is a decrease in the production of insulin in the brain, then the brain begins to starve. As the energy that is derived from the glucose begins to decrease, parts of the brain actually begin to atrophy, ceasing their normal functions and eventually die off. This causes various degrees of loss of memory, movement, speech and the personality traits of the affected person. The thinking is that the brain can actually become insulin resistant to the point where it will lose its ability to transform the glucose in the blood into energy, which the brain desperately needs to function normally. However, the brain has a plan B, as there are other substances which the cerebral cells can use to feed on and prevent all of these dire consequences, and that is where the coconut oil enters the picture. In fact, coconut oil may restore and renew nerve and neutron functions even after the damage has occurred in your brain. There is a substance called ketone. The body creates this substance when fat is converted into energy (not glucose, but fat.) A main source of the ketone bodies are the medium chain triglycerides that are found in coconut. About 66 per cent of the makeup of coconut oil is made up of exactly these MCT's (medium chain triglycerides). A level of coconut oil that would be therapeutic as far as how much to take would amount to around 20 grams per day. According to research that has been conducted, the coconut oil dementia dosage is just a little over two tablespoons of coconut oil. This is fairly easy to do, since the coconut oil is very inexpensive and easy to come by. 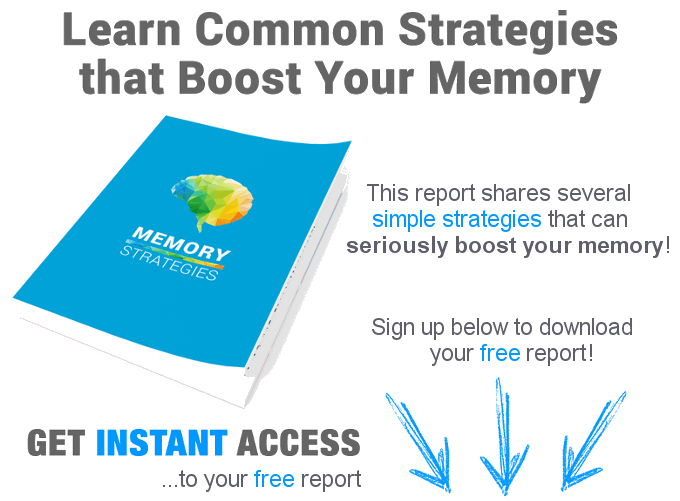 These same studies concluded that this dosage worked just as well as a preventative measure against the threat of dementia, but also was a a valid treatment if dementia had already started to occur. Just a year ago in January of 2014, two new Alzheimer's drugs failed to materialize as functional and workable solutions. This failure adds to a long list of prescription medications where the pharmaceutical companies have attempted and failed to bring home the bacon, so to speak. “Big Pharma” has a lot at stake here as the senior market is a huge one, especially the demand related to dementia and Alzheimer's disease. The incidents of Alzheimer's and other dementia diseases are on the rise in an exponential way, and the medical companies are very anxious to find something that works. Yet here is this simple and very inexpensive coconut oil, that can be purchased just about anywhere and can be taken as it is, or combined within almost any recipe. There is a huge amount of potential profits for the drug companies in this market, you just have to look at the example of Lipitor, which has to be the most profitable drug ever for the pharmaceutical companies, and was a drug designed to combat cholesterol. Interestingly enough, the brain needs cholesterol in order to function properly, and tests have shown a noticeable lack of the necessary cholesterol in the brains of early Altzheimer's patients, so some experts are saying that the increased Lipitor sales and usage are actually responsible for increased Alzheimer's disease occurrences. One wonders how effectively the drug and pharmaceutical industry can respond when after all of the years that Lipitor was on the market, it is now discovered that they overlooked that it might have a side effect of helping to cause Alzheimer's. The fact of the matter is that a simple substance such as coconut oil is far more successful in preventing and treating Alzheimer's and dementia than all these prescription drugs are. The study of coconut oil and dementia is beginning to pay off as more and more people are learning about it and starting to use it. There is an ongoing study in this regard that was begun at the University of South Florida in 2013 where individuals with moderate Alzheimer's are being studied and showing some very positive results. Many of the people with Alzheimer's are showing marked improvement after introducing coconut in their consumption, and in some cases they are seeing a full reversal of the disease. Pharmaceutical companies are attempting to duplicate, or mimic the ketones that the coconut oil already has, but why try to mimic something that is already there and working? The answer lies in the fact that pharmaceutical companies are really only interested in profits, as that is the only reason for their existence. 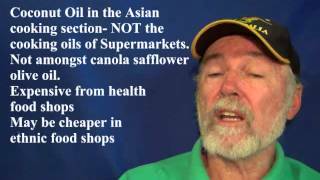 You can't get a lot of profit for your stockholders from a bottle of coconut oil that you can get at your grocery store for a few dollars. 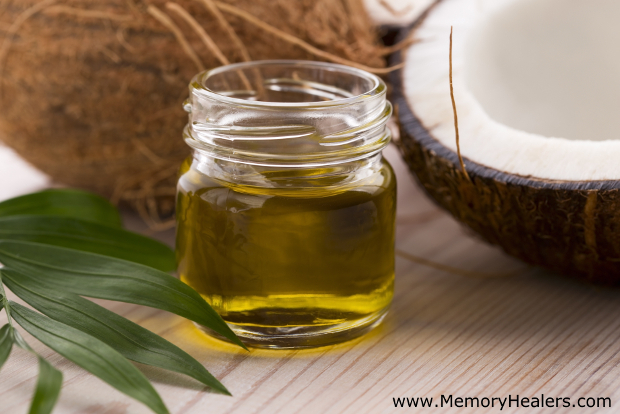 Not everyone reacts the same to coconut oil for dementia, as people are at different levels along the path of the illness, but there are a lot of success stories that have the research to back them up and bolster the validity of coconut oil dementia prevention qualities. TheÂ coconut oil and dementia research over the past few years is showing more and more promising results. At the present time, it would be safe to say that all of the commercially made coconut oil in the United States would be fine to use. However, you have to be careful and stay away from using the hydrogenated coconut oil. About two to three tablespoons a day is a safe coconut oil dementia dosage everybody recommends. So dementia and coconut oil do seem to have a very close relationship that any dementia patient should take advantage of!